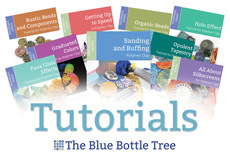 You might have seen posts on Facebook or blogs from time to time about Bead Soup. Sounds kind of yummy, doesn’t it? Or at least fun! And fun it is. The Bead Soup Blog Party is an event in the beading and jewelry world where bloggers sign up and are matched with a partner who then get to know each other and exchange a “Bead Soup”. A proper Bead Soup consists of a focal bead, a nice clasp, and enough supporting beads to make something nice. The partners “cook” their bead soup, swap their soups by mail, and then use the items in the soup to create beautiful jewelry. On a specific day, all the bloggers who are participating in the Bead Soup Blog Party write a blog post revealing what they made with their soup. The list of bloggers will be posted so that anyone (even you!) can take part in the “blog hop” and go from one blog to the next, reading the posts and enjoying the creations. We are in the middle of the 8th Bead Soup Blog Party. Partners have been matched and their bead soup has been mailed. Most people have received their soup from their partner. Now we get to look at our beads, dream about our beads, and start thinking of what to make with our beads. The big day, the Blog Party and Reveal will be May 3rd. My bead partner is Jean A. Wells, who got bit by the jewelry bug six years ago and has made wonderful handcrafted artisan jewelry ever since. She jokes about having a bead stash of epic proportions, and judging by the amount of beautiful jewelry she creates, I believe her! You can see her work in her Etsy shop and on her blog. Jean is an attorney in her “real” life but her heart has been captured and is held hostage by three beloved Rottweilers. It’s a small world, but come to find out Jean and I are from the same town and went to the same college, at the same time no less! She is one of 7 children and says that most of her family still lives here in Springfield. Hopefully we’ll be able to meet in person sometime when she comes to visit them. And here are the polymer clay beads that I sent to Jean. So I opened the box. And a huge grin came across my face. Not only was this bead soup gorgeous, but this just might be the most incredible case of “Great Minds Think Alike” that Bead Soup has ever seen. Not only are Jean and I from the same state, the same town, and graduated from the same school, but we obviously make a very similar bead soup! See what I mean? Right down to the strand of freshwater pearls and the little pink flowers and the little color lined seed beads, our bead soups could be long lost sisters. How fun! Well I’m thrilled. I love the colors. And I love the way that Jean chose both copper and silver clasps, so that I have a choice. I can immediately see at least two things that “need” to be made from this soup, so I’m all excited and ready to get started. Unfortunately, I’ve got a few things on my plate first (least of which is another tutorial coming next month). So I’ll have to wait to get started. But come May 3rd, I’ll be ready. This is going to be a great Bead Soup Blog Party. Thank you Jean! How wonderful that you both “read” each other’s thoughts, bead wise. It will be so fun to see what you two created with these great mixes. So much fun! I love both of these soups! I have to thank you for your post about the sign-ups, which led me to join in on this fun too (my first bead soup party). 🙂 And by coincidence, my partner is the partner you had last year, Arlene Dean. I’m looking forward to seeing all the creations in the reveal! Amazing, truly great minds do think alike! I’m looking forward to reading those blogs as well. Love the color theme. And those polymer clay beads you made? Are they the same ones I drooled over on FB? Gorgeous. Speaking of Bead Soup coincidences, I think the silver toggle clasp my partner sent me is the same kind as what you go. Looks the same in photos, anyway. And I second what Beth said – thanks for the heads up about this blog hop. What, no yellow, only fuchsia?! (Just kidding, after reading a recent post of yours!!) I think Lori is going to be rewarded for using her divining rod to put you two together….. I didn’t realize Jean was from Springfield too – how funny! It’ll be fun to see what you each create from your sister soups. Funny how these things work. Both soups are lovely. Can’t wait to see your creations. And Jean’s too. I must say I do love my soup, but it is really presenting a challenge to me. I guess that’s good since that is one purpose for the bead soup party. I am so tickled that you are my partner and I have thoroughly enjoyed getting to know you better. I, too, hope that we can get together in Springfield. Gale, yes, there was some yellow in there. Ginger described it as cream, but it looked yellow to me. I used it first! Thank you Ginger. I hope you are having as much fun with your soup and I am having with mine.